This book is published by government in 2013. so some contact information listed here may need to be updated, but the roads remain the same and hope it can be helpful for your planning before arriving at Taiwan. Bikeway, Liyutan Bikeway, Guanshan Town Encircling Bicycle Path, and Longtian Bike Path, or experience the offshore-island charms of Penghu along the Magong City and Huxi bikeways. Every year Taiwanese government would arrange a series of events for people who enjoy cycling or are interested in getting into this activity to participate in many ways. Taiwan Cycling Festival is not only a one-day event, but it usually starts from late Summer time and goes all the way to early Winter time. One of the most famous events, but not anyone can register and ride, is the Taiwan KOM. More and more foreign cyclists are invited to join this challenge since it has its unique charm and difficulty comparing to other KOM in the world. Let's take a quick look back on what had happened last year in 2017, and hope you would be able to join one of the events during 2018 Taiwan Cycling Festival. We often received inquiries about how to plan a bicycle trip in Taiwan. Therefore, I plan to make suggestions/templates for those who are interested in visiting Taiwan by bike, but do not intend to hire a bike guide to accompany them for whatever reason they may have. what sort of scenes are more attractive to you, i.e. food, culture, nature, sea, mountain, and etc. An example of five days trip by bicycle in Taiwan, and you want to experience the best and most of Taiwan. This trip starts from Hualien and goes along the rift valley part of eastern Taiwan and then cross the Coastal Mountain to east coast side of Taitung before entering the Southern cross island route to ShouKa and strolling down to the Southern Peninsula of HengChun and Kenting. There are two types of maps attached that we have used most often in our own planning. First one is the Bikemap, which can really show you the routes in details distance and also the elevations so you would not under estimate the daily ride by imaging that all the routes in this small island should be flat. Second one is the Google Map where you can find the suggested start and end points for each day and of course the place that might be interested to stop and take photos while resting and regain your energy. This could be the best part of cycling through east rift valley in Taiwan. A lot of cyclists or bikers in Taiwan call route 193 the most beautiful route to bike in east coast since all the villages that it passes are not so well developed and have kept the origin of its natural beautifies. On this route, you may not find any amazing buildings or fancy parks made for tourists, but you can experience the peaceful and beautiful side of Taiwan. After coming our from route 193, the ride continues to a bike-only cycling path that allow you stand on top of the Euroasia Plate and the Philippines Sea Plate at the same time. Enjoy your time strolling slowing and taking as many photos as you want to. A good spot for the great IG photos. End this wonderful bike trip in Chihshang which is famous for its tasty bento (lunch box) and vast green rice fields where no electric poles are passing through. If you stay overnight near Liyutan, make sure you wake up early and stroll around the lake with your bicycle. It is very refreshing and by chance you might get to see beautiful sunrise from the east coastline. 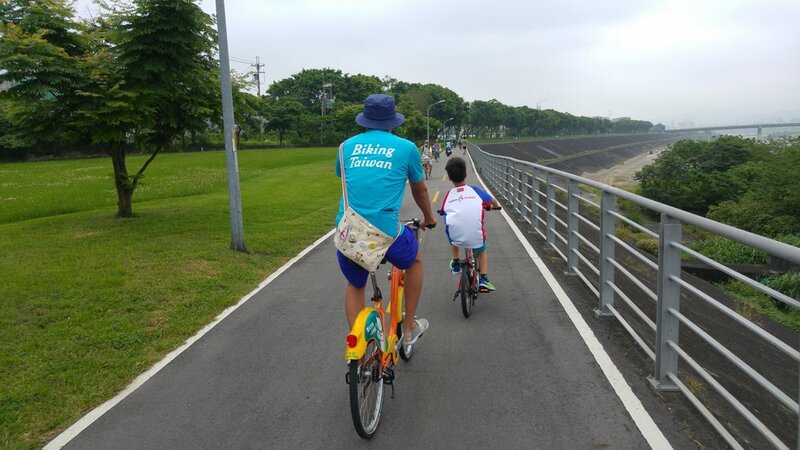 After breakfast, you can start this day by visiting Chihnan Forest Park and ride down hills to connect onto Taiwan Cycling Route number one, which was the main cycling route that has been promoted by the government in the past few years. This route has a separated bike path so you do not have to compete with the scooters, cars, and trucks for the main road. The advantage of riding along east rift valley side is that all signs are clearly marked so you will not get lost, and of course this route is quite flat comparing to the route that ride along the coastline. First attractions in today's ride will be Fenglin Township, certified by Cittaslow International Organization as a good place to live slowly and peacefully. The other attractions include Mataian aboriginal tribe and wetland, Lintianshan forest, and Ruisui hotsprings for your good rest after a long day cycling trip. This route is ideal for a 3-4 hours ride, and the only hilly part is the last 5 km of the ride.